Maria is a graduate of the Western School of Feng Shui™; which teaches the art of Essential Feng Shui© – the practical study of how to arrange your environment to enhance your life. She is trained in residential, business and landscape consultations. She has always had a passion for interior design. Born in Milan, Italy, Maria was influenced by her multilingual, artistic parents who immigrated to this country from Europe. Although she majored in Interior Design at a California college, Maria chose a rewarding career in education. For over thirty years she has worked with children and adults as a teacher, and later as an educational administrator with a focus on instructional excellence. As a lifelong learner, for over fifteen years she has been fascinated with the study of Feng Shui, being introduced to it by one of her teachers when she was a principal. 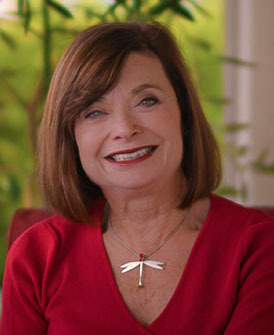 She has had numerous consultations in her home and office, read a variety of books, and studied with Feng Shui practitioners Michelle Cox, Caroline Patrick, and Terah Collins. She is currently a Feng Shui columnist for the Benicia Herald and Martinez News Gazette newspapers, teaches classes locally, as well as being a successful Feng Shui practitioner. Experiencing firsthand the positive difference Feng Shui made in her own life, she developed a true passion for sharing her knowledge with those closest to her. Combining her love of teaching with her passion for Feng Shui she now brings those experiences to you. Maria is characterized as an organized, focused and personable person; she will listen to your needs and work closely with you to show you how to realize your dreams through your environment.